DEPONIA The Complete Journey • CLAIMED For FREE! - KABALYERO - PLAY, BLOG & EARN! Home / adventure game / deponia / deponia free / deponia the complete journey / deponia the complete journey free / pc game / pc gamer / steam / steam game / steam library / DEPONIA The Complete Journey • CLAIMED For FREE! DEPONIA The Complete Journey • CLAIMED For FREE! Deponia The Complete Journey is currently free. I found out about it from a tweet made by PC Gamer. Getting #Deponia The Complete Journey is a time limited offer. If you don't move now then you might miss getting it. 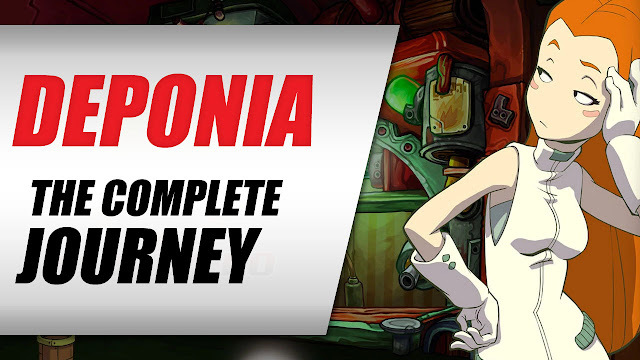 I already got #DeponiaTheComplete Journey today and I might add it to my #Steam Library later. So, watch the video to find out how to get Deponia The Complete Journey for FREE. Want to see more? Help support the channel by downloading WTFast FREE (http://bit.ly/trywtfast) or downloading Guns Of Glory FREE (https://bstk.me/p5Ja9hdCg). Thank you for your support!